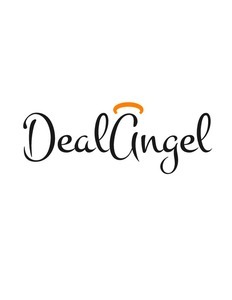 DealAngel.com is a hotel deal FIND engine that helps value-focussed travelers 'beat the system' and find undervalued hotel offers with the help of smart pricing analytics. Problem: Hotel deals aren’t absolute; they’re relative. Unlike 20 years ago, when hotels still had a "sticker price", a modern hotel may charge a different rate for each day of the year, and update these rates regularly. And all the other hotels in the market are doing exactly the same thing. While its possible to be quite certain that you are getting the 'best price' for any given hotel, how can you be sure that its direct competitor on page 5 is not better value, and you are actually getting the 'best price' for the biggest rip-off? Solution: DealAngel searches nearly every offer on the Web and uses complex pricing analytics to determine when a particular hotel’s price is selling below its 'fair-market-value'. This is the same methodology more sophisticated hotels use to get their online pricing right. Then it ranks the great deals for you in descending order (and filters out the ‘rip-offs’). The cheaper the actual price is from the expected price, the greater the deal. DealAngel crunches the numbers, you get the deals. Co-founder and Chief Operating Officer (COO) of DealAngel. Over nine years of experience with hotel pricing/partnerships in the travel industry. Previous experience as a suit at Expedia and Nokia. DealAngel was featured in a VatorNews article: "Today's Entrepreneur: Bob Rogers"